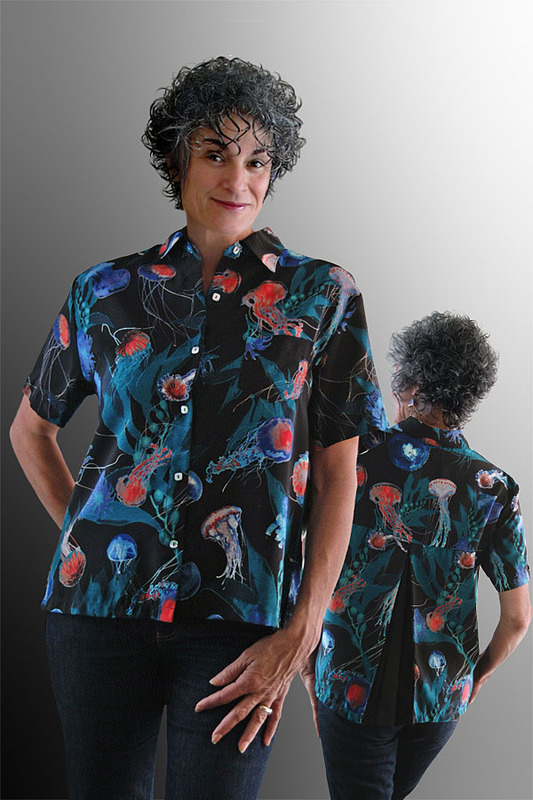 Inspired by an ongoing exhibit at the Monterey Bay Aquarium This is our, Ladies "Jelly Fish Swing Blouse". This Swing Blouse has a retro pleat in the back for a classic look. It is shown held open so that you can see how the black fabric unfolds out with two fold lines. But in normal wearing it opens and closes as you move about. It's trimmed on each sleeve with a matching Mother-Of-Pearl square button.